U.S. President Donald Trump is trying to recruit international lenders to his pro-coal crusade. The European Bank for Reconstruction and Development, established to help foster democracy-building projects in former communist countries, on Wednesday adopted a strategic plan that rules out direct financing of coal plants and mines — despite opposition from the U.S., the bank’s single biggest shareholder. That follows a joint pledge issued Dec. 3 by nine multilateral development banks that give financial aid to poor countries — including the European one — to scale up their support of climate-friendly projects and scale back their assistance for anything that emits significant amounts of carbon dioxide. The moves underscore the limits of both Trump’s campaign to revive coal and his influence on the world stage, where his proselytizing for the fossil fuel is winning few converts. And they illustrate the difficulty in trying to undo policies forged through years of international negotiations by the Obama administration, which sought broad buy-in from other countries for its environmental agenda. Trump scrapped an Obama-era policy that directed U.S. representatives on multilateral development banks to prioritize clean energy investments and rarely support coal power plants. He has dispatched cabinet secretaries on missions to Europe to tout coal and natural gas. He’s even encouraged the United Nation’s Green Climate Fund to support high-efficiency coal plants and natural gas infrastructure. And on Monday, at a gathering in Poland of countries that agreed to cut greenhouse gas emissions as part of the 2015 Paris agreement, the Trump administration held its own event to promote coal. Amid protesters shouting “shame on you,” U.S. officials warned against allowing “alarmism” over climate change to overcome “realism” about worldwide energy demands. “We strongly believe that no country should have to sacrifice economic prosperity or energy security in pursuit of environmental sustainability,” Wells Griffith, a White House energy adviser, said at the session. Trump’s zealous advocacy of coal, which provides about 40 percent of the world’s electricity as well as a large share of its heat-trapping carbon dioxide, is continuing unabated despite increasingly dire warnings about climate change. A United Nations panel in October said the world faces catastrophic consequences if it doesn’t take “unprecedented” action to slash greenhouse gas emissions. Trump’s own government issued a report last month estimating that unchecked climate change could cost the country hundreds of billions of dollars. But that did nothing to shift the stances of the U.K. and other big shareholders in the institutions. The World Bank Group, for example, has maintained a strategy adopted in 2013 to encourage investment in “sustainable and modern energy” projects. And it’s only getting slimmer. In October, a unit of the World Bank known as the International Finance Corp., where the U.S. has a 22 percent voting share, raised a new hurdle to coal projects, clarifying that the money it invests in banks, commercial enterprises and other projects can’t later be used to fund coal operations. The move effectively put coal mining and coal-fired power plants in the same verboten category as investments in weapons and casinos. Similar headwinds have appeared for the Trump policy at the five major multilateral development banks in which the U.S. is a member. Chief among them: the European Bank for Reconstruction and Development. 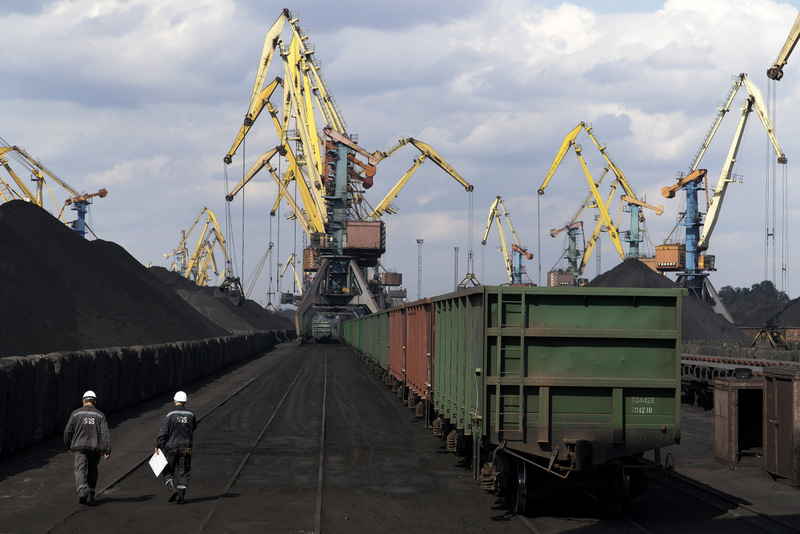 The EBRD agreed to end direct financing of coal-fired power plants on Wednesday — a prohibition Trump’s representative had opposed. “Management’s proposal to completely curtail support for coal power generation would limit the bank’s ability to respond to the energy security and affordability needs of countries of operations,” Acting Assistant Secretary of the Treasury Geoffrey Okamoto told the bank in May. The Trump administration was delivering its pleas to EBRD member countries that are in many cases themselves transitioning away from fossil fuels, noted Han Chen, an international energy policy manager at the Natural Resources Defense Council. “The U.S. is still swimming against the current,” she said. U.S. coal exports have climbed the past two years, driven both by high global prices and extra rail and port capacity to transport it, which was freed up by a decline in domestic demand. So far this year, U.S. exports are up 30 percent from the same period last year, according to the U.S. Energy Information Administration. That’s still well below the 126 million tons the U.S. exported in 2012, the most recent peak, but even the modest uptick has helped fill a void created by continued declines in U.S. demand. U.S. coal consumption is on track this year to sink to its lowest level in 39 years, according to EIA projections. Some coal advocates think the Trump administration needs to get more aggressive, particularly at the World Bank, an institution the U.S. helped forge more than seven decades ago to help Europe recover from World War II. The U.S. is the biggest World Bank shareholder, with about 16 percent of its voting share. Though multilateral development banks are shifting away from coal, plenty of countries are still building power plants that use it. At least 30 gigawatts of new coal-fired electric generation capacity is being constructed, largely in the developing world as nations such as India, Indonesia, Vietnam and the Philippines build out capacity, according to the International Energy Agency. “Activists have looked for every opportunity to push back against projects they just don’t like,” but developing countries “are trying to meet the energy and economic needs of their growing populations,” said Frank Maisano, a senior principal with Bracewell LLP. The Trump administration could act alone to prop up overseas coal projects — and potentially ride to the rescue of one long-planned power plant in Kosovo — with a lending organization operated solely by the U.S. The so-called Kosova e Re plant aims to tap into the vast local stores of a low-grade coal known as lignite and boost electric reliability in the tiny Balkan country, potentially replacing a heavily polluting 48-year-old coal plant. In October, World Bank President Jim Yong Kim said his institution would not back the project, after concluding that renewable power is now a cheaper option. Now, the Overseas Private Investment Corp., a U.S. government agency, is considering stepping in. It would be a major departure for OPIC, which hasn’t supported a coal-fired power plant since 2008. But executives with project developer Contour Global LLC have expressed confidence the project will win some OPIC support. And environmental groups seeking to discourage OPIC support for the project have been told by agency officials to submit comments. Representatives of the U.S. agency did not respond to requests for comment. The Trump administration’s coal advocacy can yield political points for the president even if it doesn’t translate into new plants. Trump’s campaign promise to revive coal helped him win West Virginia and Pennsylvania in the 2016 election, and now that he’s in the White House, any efforts to aid the industry deliver a psychological boost to the sector.